Q As a diplomat, how do you see the government’s approach towards the Economic Technology Cooperation Agreement (ETCA) proposed to be concluded within the next couple of months? International trade and investment agreements are used widely by countries to enhance trade in goods and services and attract foreign investments. For its part, Sri Lanka has also concluded many agreements relating to goods and services liberalisation and the protection of investments. The real issue is whether the proposed ETCA will adequately serve to enhance Sri Lanka’s interests in these areas. Unfortunately, the widely held view is that the proposed ETCA will not be to Sri Lanka’s benefit. The document in circulation at the moment has borrowed substantially from the text of the now discredited CEPA. Within our own region, Sri Lanka has concluded the SAFTA, the FTAs with Pakistan and India, the APTA, and the BIMSTEC. Our experience with these agreements may not be seen as fully satisfactory, thus contributing significantly to the reservations about the proposed ETCA. Sri Lanka is currently negotiating FTAs with China and Singapore. Much political and trade interest has been expressed in the the recently concluded Trans Pacific Partnership Agreement (TPP) although we were not included in its negotiations. Sri Lanka has concluded over 25 Investment Promotion and Protection Agreements, including with India. It is already a party to the SAARC Agreement on Trade in Services 2010 (SATS). SATS promotes further agreements liberalising the trade in services progressively in the SAARC region. While the country possesses considerable background in concluding trade agreements, it is important to ensure that Sri Lanka’s industry and professional circles feel reassured that their interests are adequately protected and advanced by the proposed ETCA, which will be vastly more comprehensive than any other bilateral agreement of similar nature. The Government appears to have failed to convince the relevant groups that it is actually protecting and advancing their interests through the proposed ETCA or addressing their deeply felt reservations about it. Q What are your views on the timeline given in this case? On December 9, 2015, the Prime Minister said in Parliament that Sri Lanka would not sign the discredited CEPA but would enter in to an Economic/Technical Co-operation Framework Agreement with India. 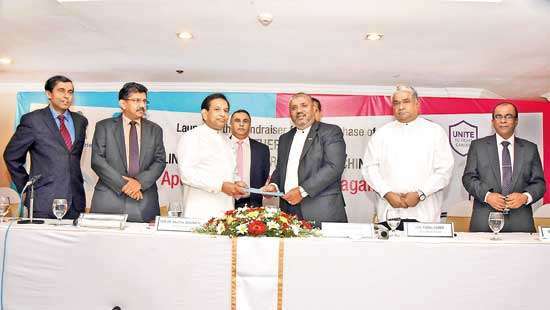 The Development Strategies and International Trade Minister Malik Samarawickreme said later that Sri Lanka would ink an Indo-Lanka Economic and Technical Cooperation Agreement (ETCA) by mid year 2016 and a Framework Agreement in February 2016. Now the Prime Minister has said that we would sign an ETCA before the end of this year. The single minded determination to conclude the ETCA, despite widespread reservations expressed by the industry and professional entities, by itself has caused considerable concern. The proposed ETCA, a text of which is currently in circulation, appears to be an updated version of the CEPA. While the self-imposed deadlines of the Government appear to have slipped time and time again, the important thing in concluding such a complex agreement that will have long term consequences for the country, is to ensure that it is right for us and that our industry and professional circles are reasonably reassured. It is better to get it substantially right slowly rather than suffer the negative consequences of haste. Even after 15 years, the Doha Development Round is still not finalised. After all the ETCA is supposed to advance our interests also. Q There is criticism against ETCA. How can Sri Lanka secure great market access to India which is one of the largest economies in the world? Securing effective market access to India is vital for Sri Lanka. India with its 1.2 billion population and, perhaps, an estimated 160 million in the INR 20,000 - 100,000 income bracket, is a mouthwatering opportunity. The Prime Minister has claimed that Southern India and Sri Lanka could combine to create a US$ 500 million market place. India is already the 3rd biggest export destination for Sri Lanka after the US and the EU, although the volume is comparatively small. It is also the second biggest investor in Sri Lanka. We see many a developed countries straining to enter the Indian market place because of the undoubted potential it offers. But unfortunately, the barriers that India has erected around itself over decades of import substitution and self-help policies have not been fully dismantled. Nor has the mindset of the officialdom that enforced those policies changed significantly. Much bigger and stronger trading nations than Sri Lanka have been stifled by the obvious and not so obvious barriers that India has erected around itself. The real problem with accessing the Indian market is not the lack of legal commitment under various multilateral and bilateral trade liberalisation agreements, including WTO-GATT, but the implementation of the commitments undertaken. It is true that Indian Government policies have changed and a mood of liberalisation is gradually seeping in to Indian trade and industry. If Sri Lanka is to seek greater access to the, theoretically lucrative Indian market, the proposed ETCA must ensure that transparent and effective mechanisms are put in place to deal with the barriers that Sri Lankan exporters have experienced under the existing bilateral Free Trade Agreement (FTA). 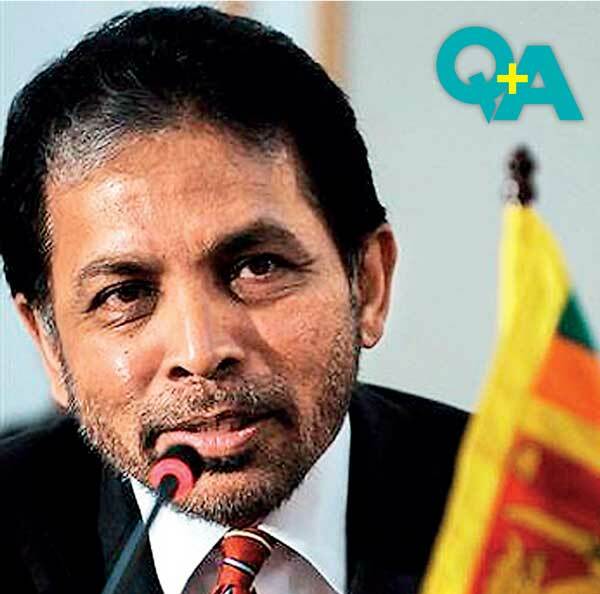 Sri Lankan exporter concerns with regard to the way the FTA has been implemented are many. For example, the nature of the negative lists for India, conditions attached to the Rules of Origin (ROO), and requirements and concessions that were offered on the basis of rigid quotas have stifled many Sri Lankan exporters seeking to enter the Indian market. On the practical side, exporters have experienced irritating access issues - Indian bureaucrats have, at times, been unaware of the details of the FTA. Difficulties with obtaining business visas have been a regular complaint. Inexplicable administrative hostility among Indian bureaucrats has also been encountered. Concessions were provided under the FTA for items that Sri Lanka could not supply while many items which Sri Lanka could comfortably supply came under the negative list. For example, Sri Lanka is strong on tea, ready made garments and textiles. These were placed under quota in the FTA. Even the quotas came under stringent ROO requirements and port restrictions. Readymade garments were limited to 8 million pieces. Restrictions imposed by regional bodies have been a regular challenge to Sri Lankan exporters - In Tamil Nadu, the sales tax on Sri Lankan exports is 21% while the sales tax on local products is only 10.5%. Unilateral and arbitrary quota and port restrictions have been imposed sometimes - Vanaspathi exports were unilaterally limited by India to 100,000 tons in 2007. A 2,500-ton limit on pepper imports was imposed in 2006 and, even that, only through the Port of Kochi. 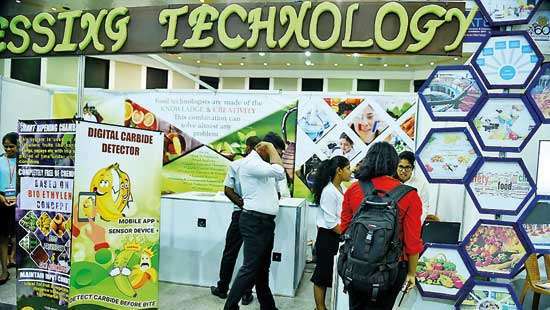 A further complicating factor for Sri Lankan exporters has been the unfamiliarity of Indian bureaucrats with Sri Lankan trade descriptions. An initiative was launched recently to provide training at this end on Indian requirements. More importantly, Indian bureaucrats could benefit from a similar training on the FTA requirements. The non acceptance of Sri Lankan certifications has been a recurrent complaint. (Sri Lanka recognises Indian certification for 80 items. The same does not apply on the Indian side), Excessive paperwork required at Indian ports of entry, the time taken to sample and test perishable items like strawberries (Testing may be done far from the port. An effort has been made in the current draft to address this issue. ), difficulties in obtaining information, eg. on labelling requirements, etc., lack of border coordination, (Different ports demand different documentation) have been other issues. The inadequacy of institutional support has been a major reason for Sri Lankan exporters being placed at a disadvantage. The establishment of a high profile, independent and well resourced institutional support mechanism or making provision for one in the proposed ETCA designed to address this particular concern may assist in reassuring the currently uncomfortable Sri Lankan business community. Rather than hasten to conclude the proposed ETCA, Sri Lanka may be better advised to iron out the deficiencies in implementation of the FTA while proactively reassuring the Sri Lankan business community of the advantages of closer economic relations with India. Q In your view, how should a government engage a foreign nation regarding the signing of a trade pact of this nature? Sri Lanka can not be faulted for entering into bilateral or multilateral trade agreements. Such agreements are becoming quite popular in the current global climate, especially with the Doha Round of Trade Negotiations stalled. It has been said that the number exceeded 400. 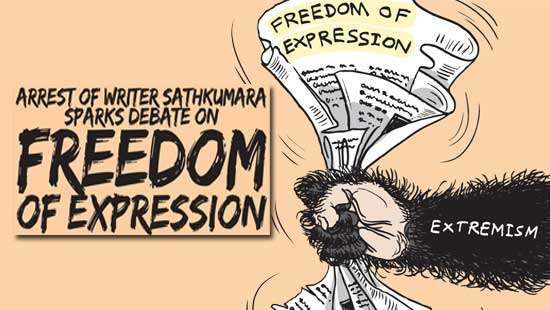 It is the responsibility of the Government to ensure that the interests of the Sri Lanka’s own industry and the professions are proactively and transparently protected and advanced in negotiating the proposed ETCA. It is quite evident that there is a widespread feeling in the industrial and professional circles that this has not been done. It will be the responsibility of the Government to take in to account the views of industrial and professional bodies and bring them on board before concluding the proposed ETCA. Once the agreement is concluded, there would be no going back. India has aggressively defended and advanced the interests of its exporters and domestic industries through the WTO Dispute Settlement Mechanism and other judicial options over the years. It has gained vast experience in this regard. The proposed ETCA runs into 42 pages in small print (plus annexes) and the dispute settlement provisions can provide a field day for trade lawyers. It could be legitimately asked whether such detailed dispute resolution provisions in the ETCA would result in miring the weaker party, that is us, and our businesses aspiring to access the Indian market, in legalisation for years. The dispute settlement mechanism should be simple and effective. Q Those, supportive of the ETCA, say that present non-tariff barriers - standardisation issues, different taxation among various states - can be ironed out through a broader agreement such as the ETCA. What are your views? This is theoretically correct. But we have seen through experience that the bilateral FTA did not address these concerns adequately, when it should have. The eagerness on the part of the Government to conclude the ETCA is not shared by large sections of the industry and the professions and their reservations stem mainly from our negative experiences with the implementation of the bilateral FTA, some of which are outlined above. These irritants which have stifled Sri Lankan exporters from fully exploiting the market opportunities under the bilateral FTA, do not appear to have been addressed in the draft ETCA available in the public domain, in a manner that would reassure our business community.